New condo coming to award-winning Canary District in West Don Lands’ will offer bigger suites, kids’ playroom. 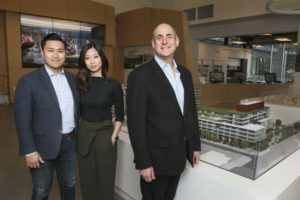 Much has changed for Hanley Koo since he bought his small, one-bedroom condo in Toronto’s Canary District in early 2016. He was a single bachelor just beginning his career in real estate and preparing to live in the budding West Don Lands neighbourhood that was still very much a vision at the time.